Specifying a structured cabling system that will meet the long term communication needs of your organisation is a challenging task given the speed at which technology is advancing. It is vital that you install a system that will provide superior electrical performance with adequate headroom to accommodate future technology. The system must also be flexible enough to provide unfailing end to end performance regardless to the number of moves, adds and changes you make. Fibre optic cabling offers the benefit of a very high speed data connection over large distances. While it is most common to use as the "backbone" of a structured cabling infrastructure, for environments where speed is everything, Matrix Net are also experienced in installing fibre all the way to the desktop. Matrix Net can supply a wide range of accessories for Fibre Optic installations including connectors, patch leads, trays and optical tranceivers. Matrix Net are able to supply a wide range of patch leads fully compliant to Cat 5e, Cat 6 or Cat 6a standards. Available in lengths from 0.5m to 25m from stock. In addition to patch leads, Matrix Net can also supply a range of peripheral leads for every connectivity requirement. Data cabinets house the patch panels, switches, routers and servers. Matrix Net can supply both wall mounted and free standing models depending on your requirements. Free standing cabinets are available in 600mm to 1200mm depth and 600mm to 800mm width. Height range is between 710mm (12u) and 2265mm (47u). Wall mounted cabinets are available in 390mm to 600mm depth and 600mm in width. Height ranges from 368mm (6u) and 1037mm (21u). Optional extras include rack and roof mounted fan units, fixed or telescopic shelving, castors, feet, plinths, cable trays and management bars. This range of cabinets and accessories enable us to provide a solution to exact customer requirements. Switches are used to segment networks into smaller connected subnets. As demand for data increases, networks can easily overload and "packet collisions" can occur as a result. Switching packets into separate subnets can enhance performance easily and inexpensively while preserving existing investments. The switch reads the destination address and "switches" the signals directly to the recipients without broadcasting to all of the machines on the network. Thus collisions are avoided and network speed is improved. As authorised partners for HP Procurve and Cisco, we are able to provide expert advice on an organisations' switch requirements as well as supply, install and configure the equipment. Routers link a local network to some form of remote network. Used for Internet access, LAN-LAN connections of a wide area network (intranet or WAN), or high speed remote access for a branch office or remote worker over an ISDN line. Matrix Net are authorised partners for HP ProCurve and Cisco and are able to provide expert advice on an organisations' router requirements as well as supply, install and configure the equipment. Matrix Net supply a range of KVM switches allowing several servers withing a cabinet to be viewed and controlled via a single keyboard, mouse and monitor and saving valuable space. With any installation of electronic equipment, it is important that adequate measures are taken to protect against irregular power supplies. Spikes, surges and brown outs can occur for a number of reasons but the net effect of all of them is loss of data integrity and sometimes damage to your equipment and cabling. Matrix Net offer a wide range of solutions to ensure these problems are filtered out before they have a negative effect on your network. In addition to this protection, Matrix Net can also specify and provide full UPS solutions to protect during a black out, providing valuable minutes to ensure equipment is properly powered down and no data is lost. To find out more about how Matrix Net can help protect the integrity of your data, please contact us today and speak to one of our specialists. At Matrix Net, providing copper and fibre solutions that ensure data integrity is our mission. Our commitment to this is evident in every aspect to our business from system design, installation and testing, employee training scheme right through to our customer support and our comprehensive certified installer warranty. 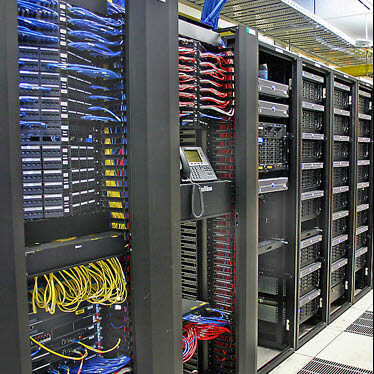 To assure long term system performance, you need a warranty that will stand behind your structured cabling system because without data integrity, nothing else matters. Our Connectix solutions offer a 25 year warranty, this covers system products, applications and performance and ensures that your network operates flawlessly and support any device that is designed to the TIA/EIA 568-ISO11801 standards. All our installations are tested using Fluke test equipment to ensure the relevant standards are met for Cat 5e, Cat 6 and Cat 6a cabling including the new BS6701:2004. Once the installation is complete, these test results make up part of the comprehensive installation documentation you will receive. One of the keys to a successful structured cable installation is good project management and upon award of any contract, Matrix Net will appoint a named project manager who will become the principal contact for the duration of the installation. The project manager will be responsible to ensure timescale's are adhered to and liaise closely with client staff. If any issues should arise, the project manager has the power to escalate them directly to board level to ensure a resolution is as swift as possible.